There is a true reason why London is the most visited city in all of Europe. It’s beautiful, diverse, historic, eclectic, exciting, and you never run out of things to do. It’s truly a city for everyone. You could visit for just 3 days or a whole 3 months and have a completely packed schedule of things to see and do. 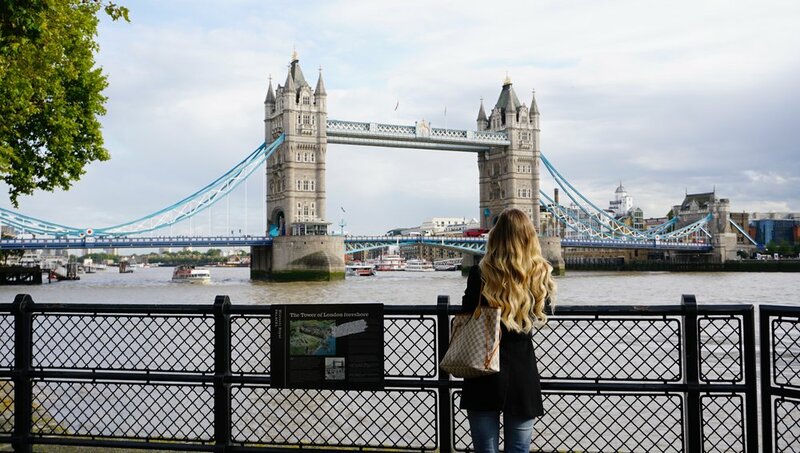 London is also a great gateway to the start of a Euro trip or layover, but in my opinion, I recommend having at least 3-4 days to see some of the highlights. That being said, there is a particular area of London in which I love and that is Westminster. In Westminster, you will find the London Eye, Westminster Abbey, Big Ben, and the British Parliament building. I adore these sites and they are very “London” in my opinion. 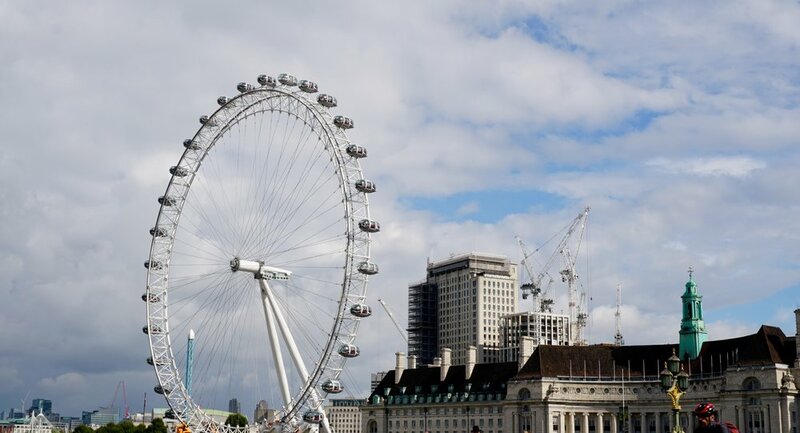 The London Eye is great for views both day and night and is just 20 Great Britain Pounds (GBP) to ride in it. Just keep in mind your pod will consist of other people as well as they aren’t private pods. You can rent them privately, but I think that’s quite expensive. At night, the London Eye is stunning lit up, so even if you’re afraid of heights or not keen to ride it, you can always just stroll past. 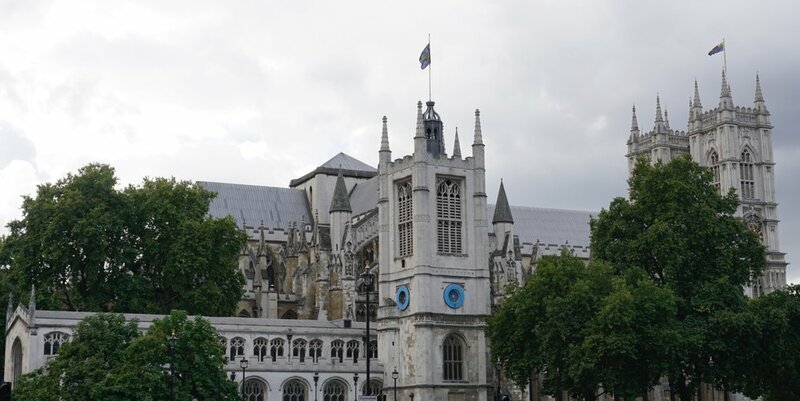 You can easily see all of these sites in Westminster in only an hour as they are all within walking distance of each other. 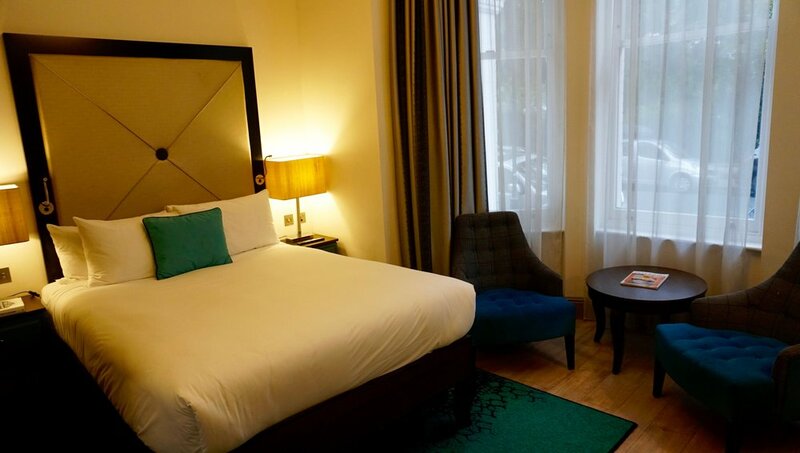 During my stay in London, I chose to stay at The Staybridge Suites Vauxhall. This is a perfect location for a hotel. This is especially true for first-time tourists because you can walk from the hotel to the sites mentioned above in just ten minutes. The hotel is modern, chic, immaculately kept, and the rooms are very large and spacious. They all have kitchenettes so you can make your own meals if you’re on a budget. They look like mini-studio apartments. There is also an amazing breakfast that is included in all room rates and it has a huge selection so I stuffed myself there. 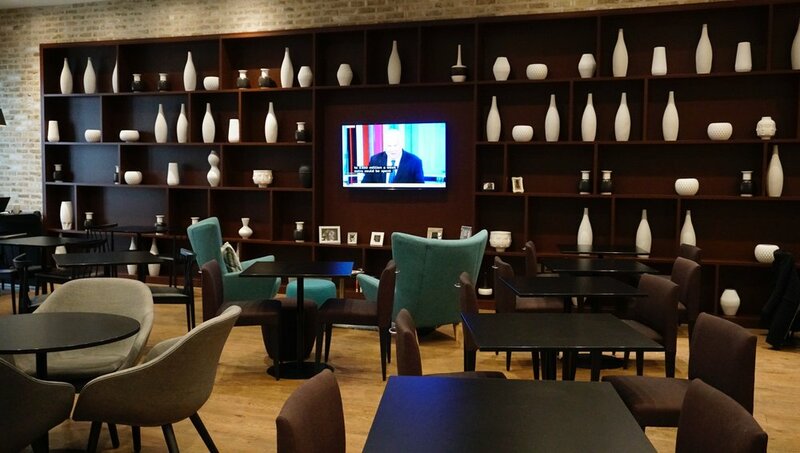 There is also tea and coffee available in the lobby for guests at all times. Additionally, there is a small snack bar, which is nice if you need to grab a quick water or candy bar. Free Wi-Fi is found throughout the hotel. The staff did a superb job as they were friendly and met all of my guest needs. This truly is an amazing hotel and perfect for a nice enjoyable stay in London while walking to all the sites. It is also located next to the Vauxhall underground and overground, making commuting around the city very easy and convenient. 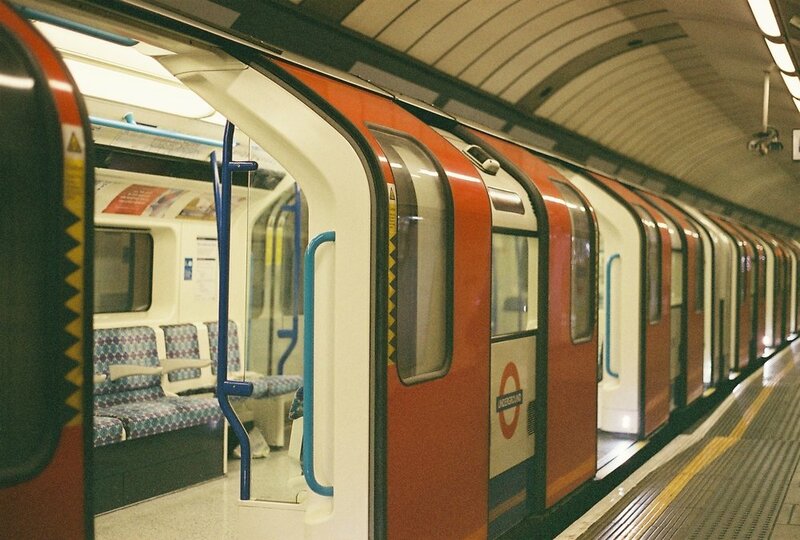 This makes it easy to jump over on the tube to Piccadilly Circus and/or Oxford Circus which are great places for shopping, restaurants, and entertainment. 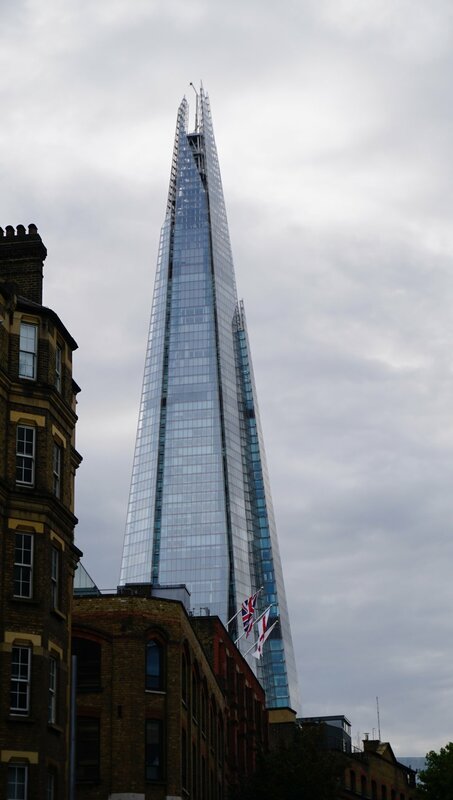 Also, within a longer walk from my hotel THE STAYBRIDGE SUITES VAUXHAULL, is the Shard. This is a neat building, where guests can have a drink in the bar upstairs for amazing views. 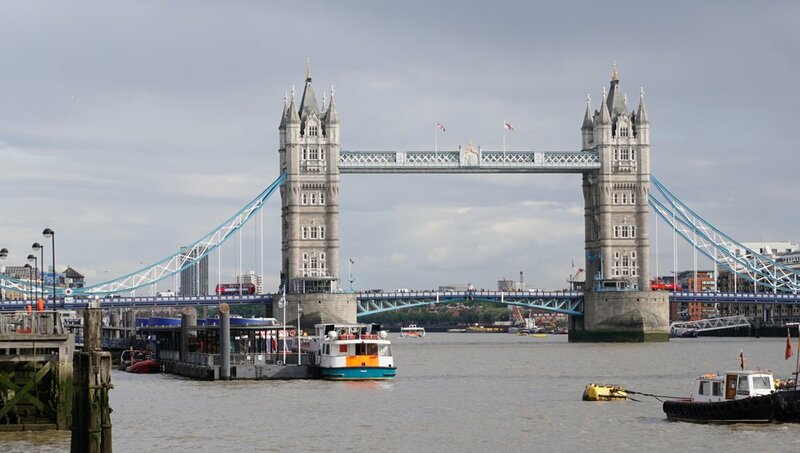 The Tower of London and The Tower Bridge are also MUST sees. Walk along the river and see them while also seeing Stephen’s Cathedral. There is the Borough Market area which is awesome for food. My favorite is a Mexican restaurant called Tacos El Pastor. There are also great fish and chips pubs down there, as you must get fish and chips while in London. There are other notable things to do and see in London. One of my favorites is taking in the remarkable parks. There is Hyde Park, Regents’ Park, Hampstead Health, and Kensington Gardens that are wonderful if parks are your thing. Personally, I love Kensington Gardens because I’m obsessed with flowers. Keep in mind if you go to these parks, there are ducks and swans. Don’t feed them and be careful as they can be mean. Trust me I know from experience when one was trying to attack me! Lol. Another memorable experience is to see a show while in this city. There are many amazing shows on Broadway. I recommend Lion King, Wicked, Harry Potter and The Cursed Child play. Also, if you don’t have much of an attention span, just go watch the changing of the guard at Buckingham Palace. This is another beautiful place you must go and see while in London. If you miss the change, as you need to be quite precise on time, then go see the horse guard parade by walking through St. James Park from Buckingham Palace. If you're into museums there are a lot of amazing ones and some are even free you just donate, my favorite is The Museum of Natural History. Another fun way to see the city is by renting the Santander bikes. It’s 2 quid for 24 hours and you can pick up and drop off at any bike rack. That price gets you 30 min increments. You could pick one up at Tower Bridge and ride along the River Thames. A few other cool areas to see are Shore Ditch, an up and coming cool area in London with Shoreditch House and other fun bars and restaurants. Take a stroll through Box Park which is made of cargo containers from old freight ships that have been made into little shops. Notting Hill has beautiful and colorful homes great for Instagram photos. Camden is also great for markets and has a chilled good vibe. If you're looking for cool spots to grab a drink or go out then I would recommend Aqua Kyoto for patio drinks (weather permitted), Sketch which has a few different bars and so so cute, it has those colorful pod toilets in the bathroom that are very much picture worthy, you should go just for a drink and a photo in the bathroom. Also Novikov is fun downstairs, if you're a guy just watch the type of girls you're chatting to, I'll say no more. 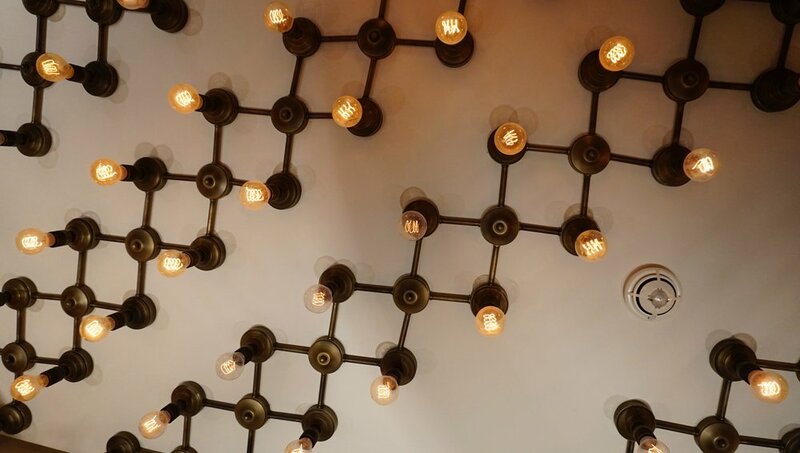 Purl is also a cool little bar with the most creative cocktails I've ever seen! I would also make this a must stop. Good clubs and bars are London Reign, Toy Room, Charley, Tonteria, Archer street, (really cool) and The Box, (if you can get in). Another hotel I stayed in during my time in London was HOTEL INDIGO in South Kensington. I moved to this hotel to be closer to the fashion week events and to friends. This hotel is an adorable boutique hotel with a yummy Italian restaurant inside, a great breakfast, and the rooms are so cute! 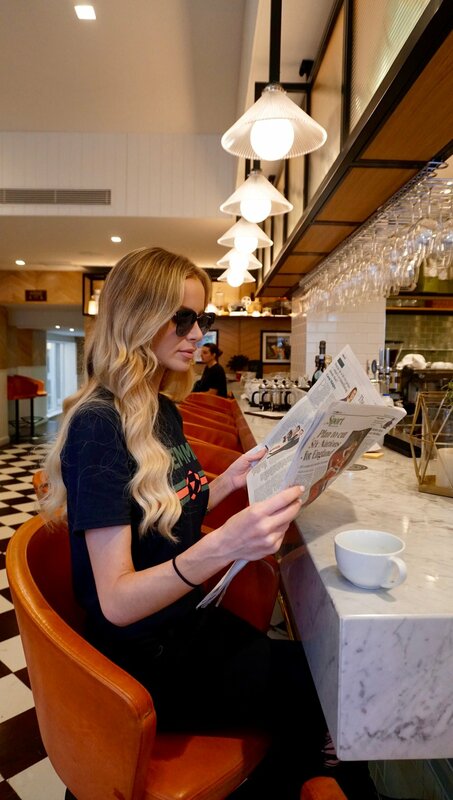 I loved the young and hip and it was the perfect venue for London Fashion Week. I stayed in room 007 and felt like a real James Bond. The rooms were so clean and I slept so well in the bed there. Also, the staff here treats you like a real guest and not just like a tourist number. I really respect that! The location is amazing as it’s a 2 min walk to the Earl’s court tube which takes you everywhere in the city. There were loads of great shops and restaurants in this area. It was truly an amazing hotel to stay in due to the size of it and the location. Stay here if you want to be in a real trendy young area with lots of shops and cafes. Be sure to get the breakfast in this hotel. I arrived a little late to it but enjoyed it nonetheless. I was really lucky to be able to choose two greatly located and spacious and clean hotels in slightly different areas to make the most of my stay in London. If you come to London, have the best time ever! The people are so lovely, the history is incredible, and the sites are truly stunning. Have fun and explore all over London! This is one city you must visit. CHEERIO! 1. Get a Visitor Oyster card so you can use it for both the tubes and trains. (under grounds and over grounds) It’s quick and easy and there is always an attendant next to the machines to help you buy one. Trust me it makes life easier and it's cheaper fares. 2. If you’re trying to save money, check out the free attractions I mentioned above. 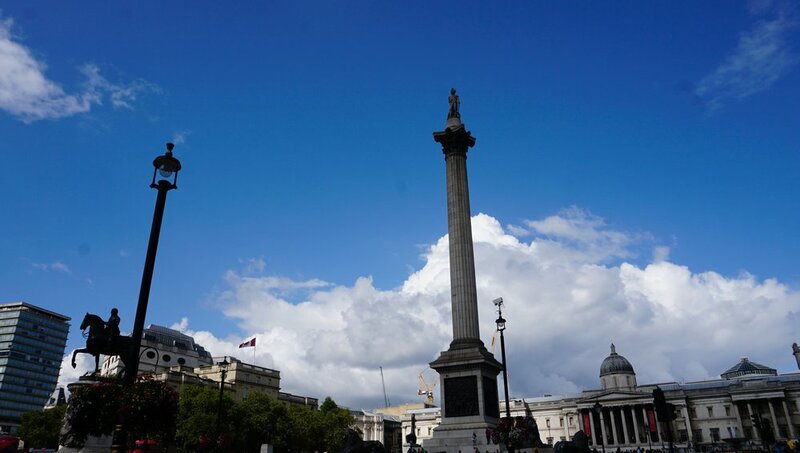 There are also museums that are free as well such as the National Gallery, British Museum, and Tate Modern. 3. Walk around to see things! I say this about every city but truly. Skip the cabs and just walk! You will see so much more and find things you didn’t intend to! 4. Buy a London pass if you plan on seeing all the sites as it gets you in and fast track! 6. Make sure you pack warm clothes as London can get very cold in the winter. Even in the summer you will get plenty of rain and chilly summer nights. 7. I wouldn’t try to save money by booking a hotel out of the city as you will spend so much time commuting and money on trains, taxis, etc. It’s not worth it and will really damper your experience. Stay central, it makes a huge difference on the experience you have. 8. Compare flights to both LHR and LGW both are easy to get to the city from and sometimes LGW (London Gatwick) is cheaper for flights. 9. Never cab it from the airports, use the train systems or the Heathrow or Gatwick express. 10. Try the Indian food here. It’s amazing! 11. Use the website openingtime.co.uk so you can get the hours of everywhere almost so you don’t arrive somewhere and it’s closed or not yet opened. 12. Try and visit at least one market in London. There’s so many good ones. Try Camden Lock or Brick Lane. 13. Don’t rent a car. It’s not worth it, hard to drive if American, and there is a congestion fee for driving in the center of London. It’s not worth the price and stress. 14. If you have the time, go explore outside of London and see Windsor Castle or Stonehenge. 15. Eat fish and chips and have a pint at a traditional British pub. 16. Make sure you have a power adaptor as remember plugs in other countries aren’t the same as the US. Also make sure to then turn the plug on. Yes there are on and off switches. 17. Don't worry about tipping, most restaurants come with a 12 percent tip so so need to add more as this is standard and not the same as the U.S's standard 20%. 18. Emergency number is 999. 19. You can drink the tap water. 20. Carry a map with you of city and one of the tube station as it helps massively. A Two Day Swedish Soirée!